Wildwood Farms is open again! 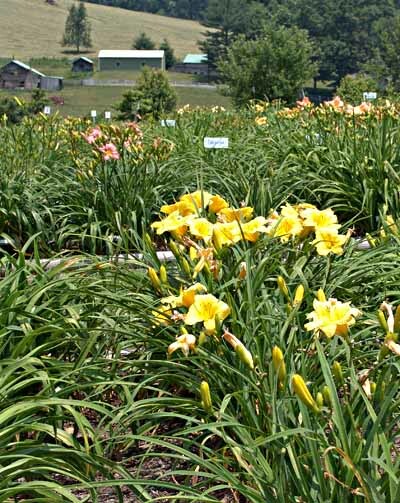 You do not want to miss this opportunity if you have any interest in obtaining the finest in daylilies for your garden. This nicely landscaped garden is located just a few miles south of Floyd on Route 221. Last year Gretchen and I discovered the daylilies at Wildwood Farms and we were amazed at the number of varieties they had to offer. 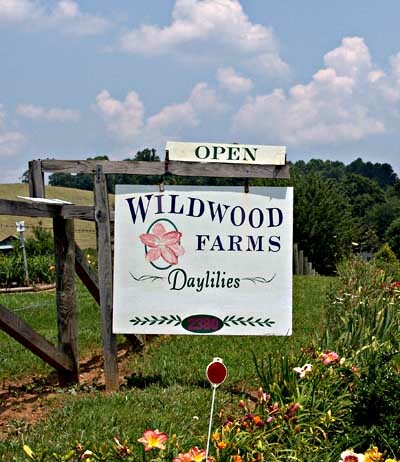 They have more than 1200 different plants to choose from and the helpful staff makes it very easy for you. They even have shaded swings for non-plant-buying husbands to rest in while their spouses amble from bed to bed going, Oooh!… Aaahh!… Look at that one! These images were taken today and the beds are about one quarter in bloom. In the next two weeks, they expect their daylilies to be in full bloom. To get an idea of the variety of plants they have, see these images and these from the article I wrote last year. Owner Judy Bowman and her sister Lou Hall are very knowledgeable and they provide an excellent customer experience. 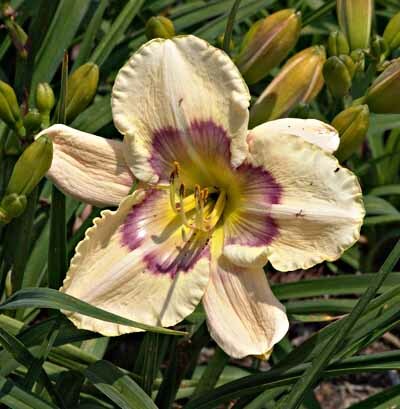 This entry was posted in Seen around Floyd and tagged daylilies, Floyd County, Judy Bowman, Wildwood Farms. Bookmark the permalink.